During a surgery, several errors can occur. The surgery might be performed incorrectly, steps might be missed or the incorrect organs get removed. Our firm is experienced in helping determine who bears responsibility for product or manufacturing defects or inadequate warnings and information and then pursuing those responsible for the damages that their negligence has caused consumers. For example: If you have a question or concern regarding your surgery, and you feel that faulty products might have been used, it is in your best interest to contact a skilled lawyer immediately. If you have been advised that the components of your hip replacement have broken down such that you require a subsequent hip replacement – you may be entitled to substantial benefits for damages against the hip component manufacturer. Strype Injury Law is always willing to take your case to trial. If your case cannot be settled for a fair amount, then we will fight for you in the courts to get the award you deserve. 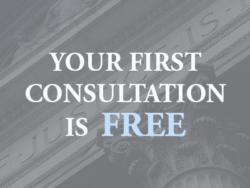 If you or a family member has fallen victim to medical malpractice, we encourage you to contact our surgical error lawyers to learn about your options and the possibility of recovering monetary compensation.